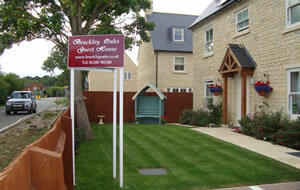 Brackley Oaks is situated on the outskirts of Brackley, it is about 1 mile away from the town centre. The B&B is purpose built and has 5 bedrooms, which can be double, twin or singles. All rooms are bright, light and fresh, with complimentary tea and coffee making facilities, TV, free WIFI. All rooms are en-suite with good quality showers and are spotlessly clean. Single Occupancy start at £50. We accept all major Credit and Debit cards.